706 160 W 3rd Street - North Vancouver Apartment/Condo For Sale, 1 Bedrooms - Brandon Crichton, Personal Real Estate Corp.
MOVE IN NOW - Immediate Possession. Welcome to THE ENVY, a boutique building with only 50 homes. This Mountain View Penthouse Level 1 BR and Den has you near all that Lower Lonsdale has to offer. Restaurants, shopping, entertainment and Sea bus are only 3 blocks away. Vancouver at your door, the North Shore and great mountain views in your back yard. Built to LEED Silver standards, this extravagant development is North Van's 1st totally non-smoking building. 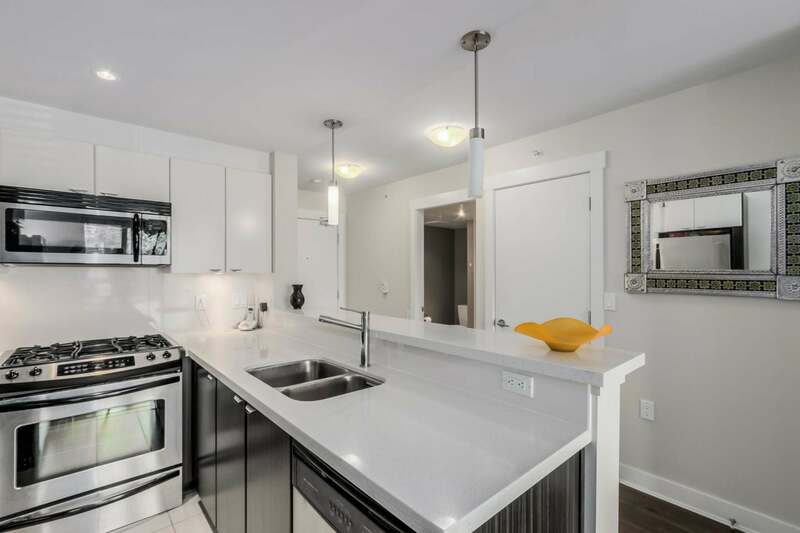 Heat and hot water included and the building is powered by the Lonsdale Energy Corp. Radiant in-floor heating under engineered hardwood floors; quartz counter tops anchor an open concept kitchen and a deep soaker tub relaxes you. Stand above the competition; come see the ENVY.